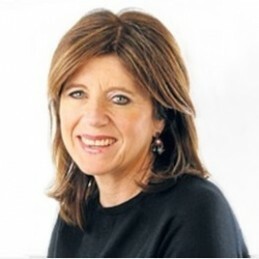 Caroline Wilson is a sports journalist who has covered predominantly AFL since 1982. During that same year she became the first woman to cover Australian rules football and in 1989 became the first woman to win the AFLs Gold Media Award. Caroline’s career has since been decorated by numerous awards. She was the AFL Players Association Football Writer of the Year in 1999, the AFL Media Association’s Most Outstanding Feature Writer of 2000 and 2003 and won the 2003 Melbourne Press Club Quill Award and has since been highly commended four times. Caroline began appearing on Fox Footy’s White Line Fever program every Wednesday night until the channel’s dissolution in 2006. She has worked in the United Kingdom and Europe covering four Wimbledons, three British Opens, the FA Cup final and the British soccer riots for the Melbourne Herald Sun. Since 1999 Caroline has been the chief football writer for The Age and is part of radio 3AWs pre-match AFL broadcast discussion. After three years as a panelist on Channel Seven’s Talking Footy she became a panelist on Channel Nine’s Footy Classified and occasionally appears as a panelist on the ABC television program The Offsiders.